Delivering healthcare to over a billion people is a very complex challenge. CARE India works in close collaboration with State and Central Government and other partner organisations to secure accessible and quality maternal and child healthcare among marginalised communities. We work towards identifying the root causes of healthcare challenges, provide innovative solutions, and help implement secure and quality healthcare services in India. We promote essential newborn care and immunisation, reduce malnutrition, prevent infant and maternal deaths and protect those affected by Tuberculosis (TB). CARE India works closely with its partners to achieve good healthcare for everyone. 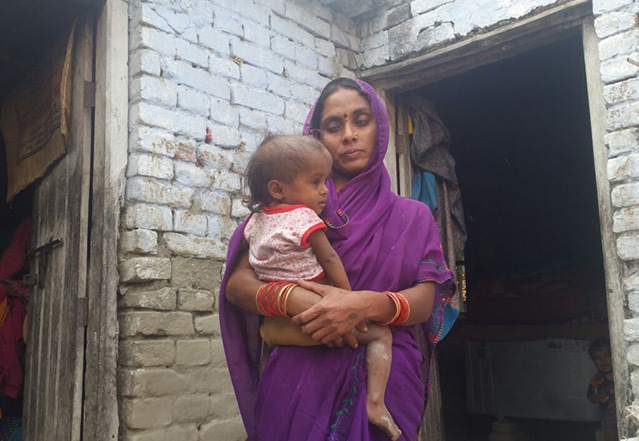 Reena Devi, a resident of Naxalite affected Panapur block, Bihar, gave birth to a premature baby girl. At birth, the baby was severely malnourished, weighing only 1500 grams. The only medical facility around was a Primary Health Centre (PHC) which lacked basic infrastructural facilities. Post the birth, the medical record of the baby was shared with frontline health and Anganwadi workers using Open Data Kit (ODK), an Android based application introduced by CARE India.